Roses are the traditional, iconic flower for VALENTINE’S DAY. But if you’re looking to be different this year, here are some beautiful and long lasting alternatives to roses. 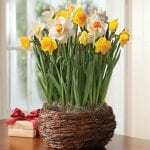 They are a favorite and can be a captivating focal point in a home. As a bonus, it can bloom for years. 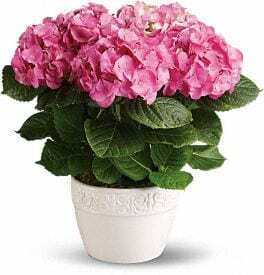 Another plant that will last a long time is a potted hydrangea. These are also great because they can be placed on any table or counter and look effortlessly beautiful. 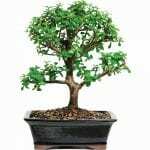 Another option is any form of the jade plant, but specifically the Dwarf Jade Bonsai. Jade is perfect for those who want a low maintenance plant that is still elegant. A trio of bulbs is a cute way to give your valentine some variety. You can put three different bulb varieties in three different pots to make a fun, mini bulb garden. If your valentine would have fun planting their gift, give them a variety of seed packets on Valentine’s Day. You can include some of their favorites and gift them in a thoughtful and special way. If you still want to get roses for your valentine, consider getting blooming roses. As opposed to a fresh-cut bouquet, blooming roses can be kept and enjoyed for longer as you can watch them bloom. Don’t forget to pair the flowers with some delicious chocolate!